The Asgardian god of thunder is returning to the big screen. Thor: Ragnarok hits IMAX theatres this November. In honor of his return, we have some heavenly giveaways for those who experience Thor: Ragnarok in IMAX on opening night (November 2). 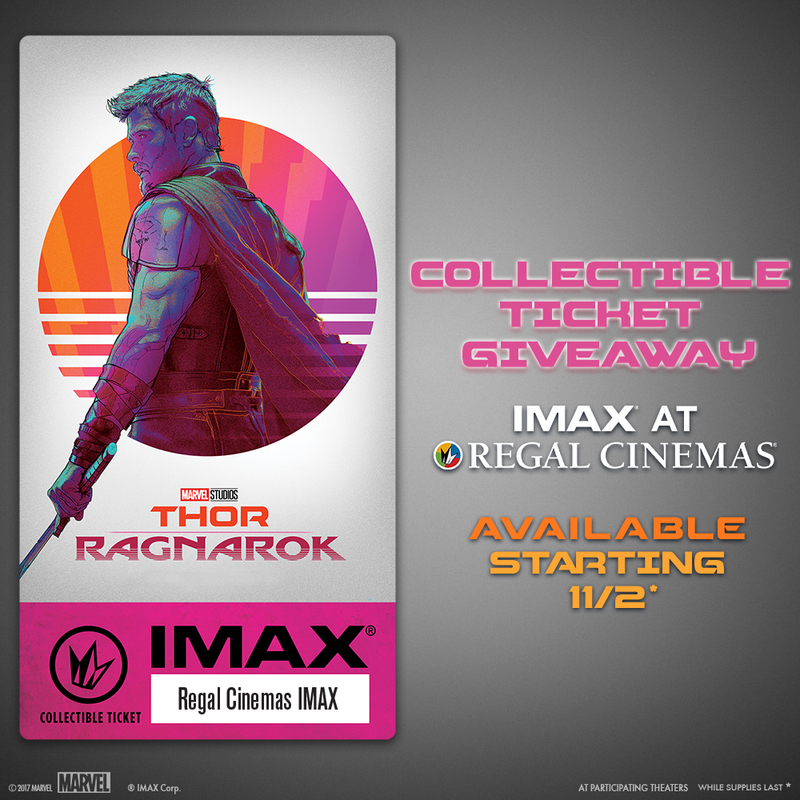 Fans who experience Thor: Ragnarok in IMAX at Regal Cinemas starting November 2 will receive an exclusive collectible ticket, while supplies last! 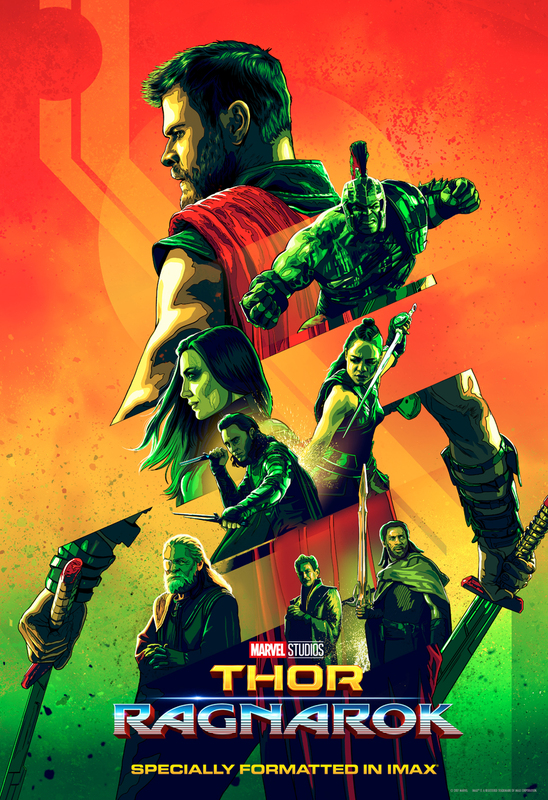 To get your tickets to experience Thor: Ragnarok in IMAX, click HERE. Amstar Cinemas, B&B Theatres, Brenden Theatres, Celebration Cinema, Cinemagic, Cinemark Theatres, Cineplex, Cinépolis Luxury Cinemas, Cobb Theatres, Frank Theatres, Galaxy Theatres, Goodrich Quality Theatres, Grand Theatre, Cinémas Guzzo, Harkins Theatres, Landmark Cinemas Canada, Marcus Theatres, Megaplex Theatres, NCG Cinema, Paragon Theaters, Penn Cinema, Premiere Cinema, RC Theatres, Reading Cinemas, Royal Cinemas, Santikos Entertainment, Showcase Cinemas, Showplace Cinemas, Southeast Cinemas, The Grand Theatres, Warren Theatres.